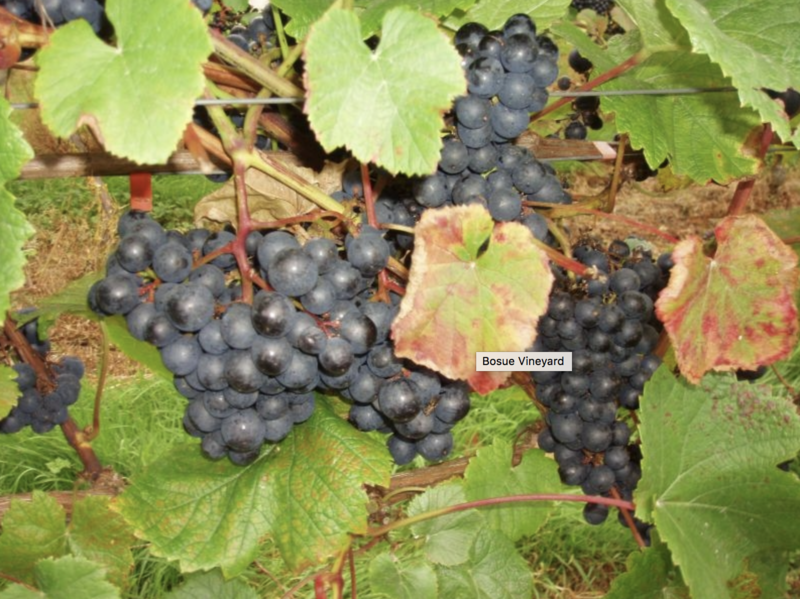 Cornish wine has come a long way in a short space of time. Those warm south westerlies and the clean, pollutant free air have combined to nurture a young dynamic industry that reflects, glass after glass, the county’s status as a gastronomic destination. Cornish Wine Tours is a start-up company with a single mission; to introduce oenophiles and holidaymakers and those just wanting a great day out in stunning countryside alike to the flavours, varieties, complexities, and production methods of some of the regions leading vineyards. Meeting the people who tend the vines and make the wine in the vineyards themselves. 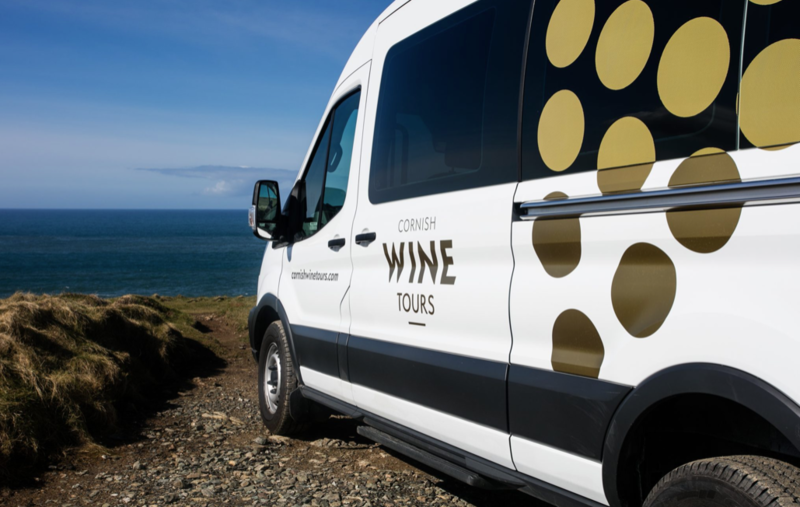 Cornish Wine Tours, managed and run by Padstow girl Kate McBurnie, eliminates the drink driving worries with a range of tours that mean people like me can sit back, relax and enjoy the wine while someone else does the driving. 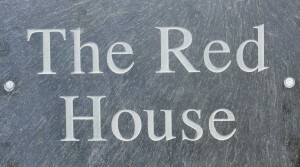 The flagship tour, the Day Wine Tasting Tour With Gourmet Lunch (£125 per person) takes in three vineyards, (depending upon pick-up location) Camel Valley, Trevibban Mill, Knightor Winery or Bosue Vineyard. It’s an all day tour that includes an expert guide and a long lunch. 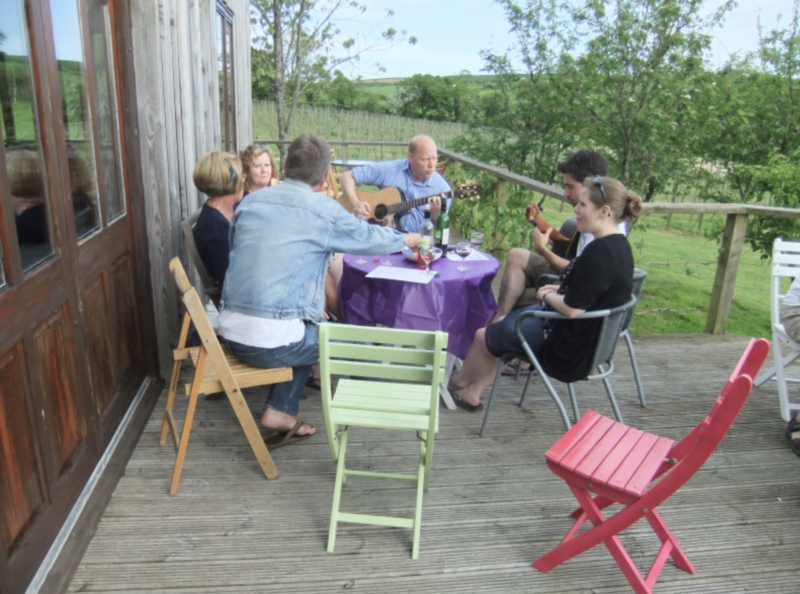 A Day Wine Tasting Tour (£75 per person) visits two vineyards and includes a light tapas style lunch. Trevibban Mill a couple of miles outside Padstow, is very special. The restaurant is modern and cool, with a sunny terrace overlooking the hills. And the food is great. The other vineyards are Camel Valley, established over 25 years ago, Knightor overlooking St.Austell Bay and Bosue outside St.Ewe. Production is predominently white and rose in all of them. Notable wines are Camel Valley Barnibole Bachus that has achieved European First Growth Status and is a classic in that white Bordeaux style, a rare red at Trevibban Mill where the Black Ram Red, a blend of 70% Dorfelder, 20% Pinot Noir and 10% Rondo is a blast, and a vermouth at Knightor.